Combination of annuals and perennials that keep on giving. Formulated for elevations below 7,000′ elevation. Mixture is for ornamental landscaping. Contains native and non-native species. This mixture is for ornamental landscaping in the western U.S. and Canada, a combination of annuals and perennials that keep on giving. 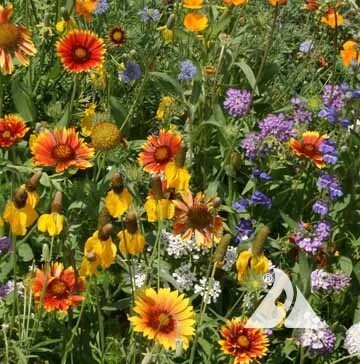 The perennials will grow back from the root-clump year after year, and the annuals are prolific seed producers and will re-seed themselves annually. Flowers will provide color throughout the growing season. This mixture contains native species as well as non-native species that are adapted to the region. Planting Rate = 6-12 pounds per acre -or- 5 oz. per 1,000 sq. 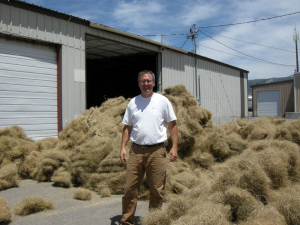 ft.
Western Wildflower Seed Mix is packaged in our durable, attractive canvas “money bags”.